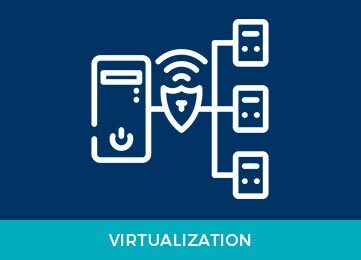 Server virtualization is another way to optimize the performance and reliability of your computer infrastructure, while strengthening it. Server virtualization also cuts your costs and improves the overall efficiency of your network. It’s an increasingly popular option: a Gartner study concluded that virtualization now accounts for 60 percent of all new server workloads. Gartner predicts that by 2015, 80 percent of all server workloads will be virtualized. Up to now, VMware was the most commonly used product, but Windows Server 2012, which is one of our solutions, is growing in popularity. With Windows Server 2012, you can manage all your physical and virtual systems on a single console. The result? Complexity is reduced to a minimum. Windows Server 2012 and 2016 also opens the door to developing and administering your applications in a “public cloud” and accessing a “private cloud” platform.